Lighter side: The ultimate redistribution of wealth? How likely is your CEO to follow the lead of one university head now sharing his salary with the organization’s lowest paid workers. Here’s a story to feel good about: the interim president of a Kentucky university has cut $90,000 from his nearly $350,000 salary so that the employees making the least amount of money can increase their wages. 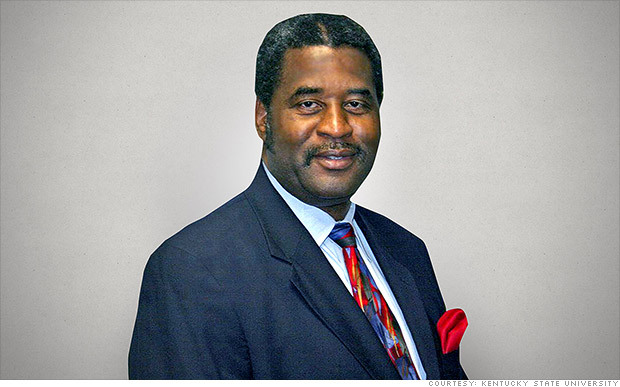 Raymond Burse of Kentucky State University in Frankfort was previously president of the school from 1982 to 1989 and in the beginning of July came out of retirement to take the lead once more after having held an executive position at General Electric. The cut in his salary meant that 24 employees got an hourly raise from $7.25 to $10.25. The Hopkinsville, Kentucky native said the pay cut was not for publicity, but for the people, adding that it was an act he had been thinking about from the moment he came back to his former post. The move – Burse’s first since coming back into office – comes at a challenging time for the campus. According to the Louisville Courier-Journal, enrollment is down to 1,900, with fewer than 20 percent of students graduating within six years. There is a $7 million budget shortfall as well.